I should have known that if my insanely creative friends got together to plan a baby shower it would be absolutely stunning. 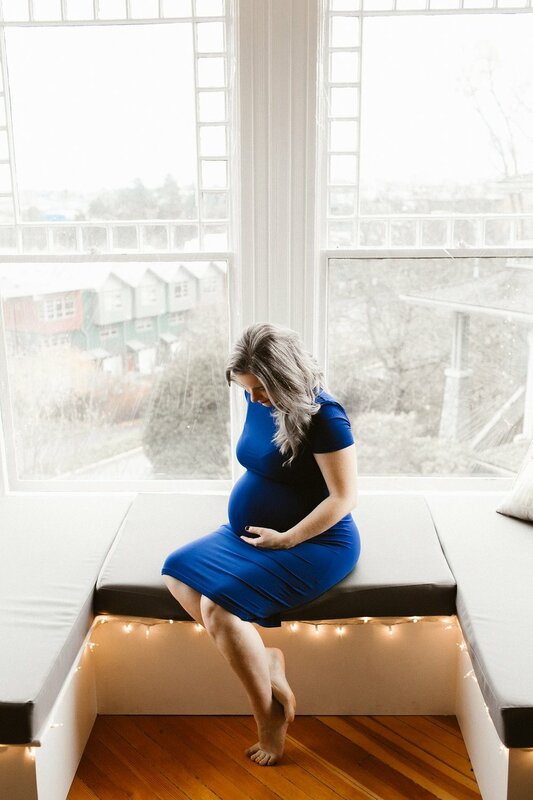 Not only were the food, decor, and florals beautiful- pregnant Whitney stole the show with her electric blue dress, platinum hair, and perfectly round bump. 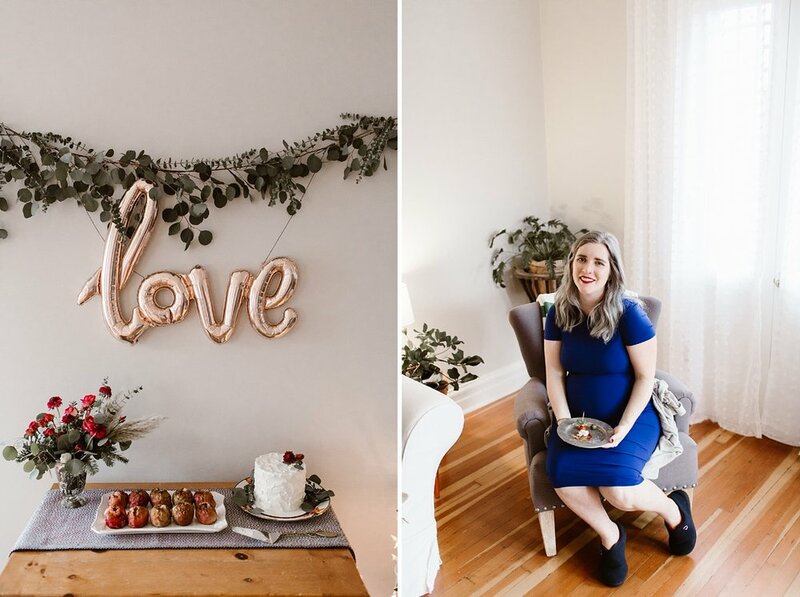 I couldn't help but snap some photos of the little details that made this celebration so special. The oh so talented Alicia did a beautiful floral bouquet and decorated the room with eucalyptus leaves and stunning wintery florals. 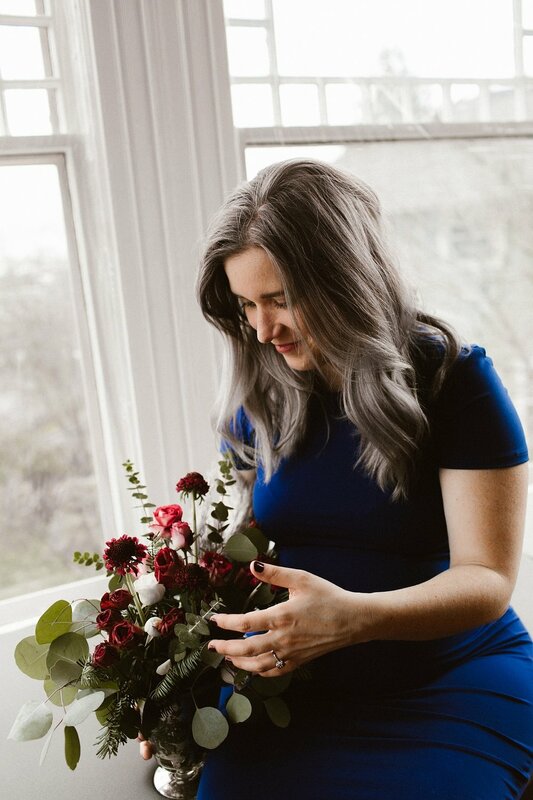 Be sure to check her out if you are local to Victoria, beyond events and wedding florals, she does delivery and floral subscription services! Congratulations Whitney, you were glowing inside and out and I know we all can't wait to meet little Viola.